Vinyl Tie-On Banner with double stitched ropes & reinforced eyelets with full details printed. Used by all major transport companies for placarding vehicles or trailers carrying Bulk Dangerous Goods. 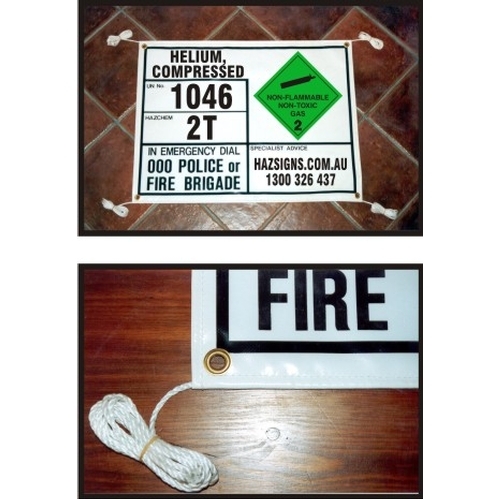 Please provide relevant information when ordering custom banners.